It was a warm night… and I was craving something cold and sweet. How about some strawberry ice cream!!! This would be a snap to make if you have an ice cream maker, but if not do not fret… Just blend all the ingredients, freeze and blend again. Still quick and easy! 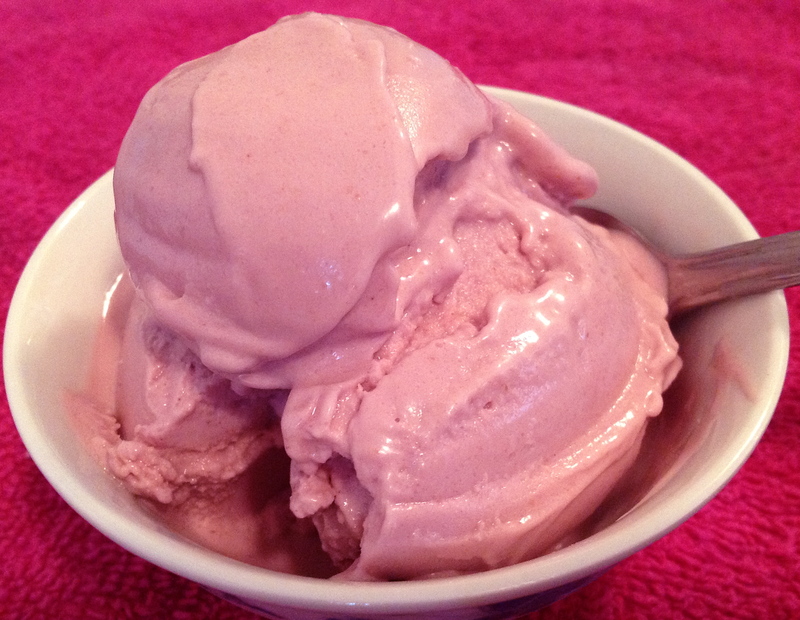 This ice cream has just over 100 calories/serving making it super low calorie, and guilt-free! -Soak cashews to soften, then add all ingredients including only enough water to make 2 c. total or 1 pint. Amazingly ice cube trays hold exactly 2 cups! Blend until creamy and either use ice cream maker or pour mixture into ice cube tray, freeze and blend again until smooth. ← A Perfect Breakfast for Summer Solstice… Banana Flax Crepes with Strawberries!!! Ya know, I have a ice cream movie night with my girlfriends this Friday and I think I’ll try this! I’ll make some extra to surprise them with too! That’s awesome! You’ll have to let me know what you think.